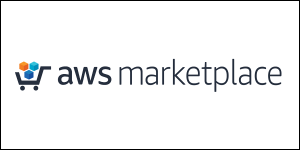 We are pleased to announce the launch of Flexible Payment Scheduler, a new feature in AWS Marketplace that enhances Seller Private Offers by enabling software sellers to offer custom payment schedules to customers. After negotiating the price and quantity with a customer, Independent Software Vendors (ISVs) can now specify a custom schedule of payments, with up to 36 installments over three years. At launch, Flexible Payment Scheduler is available for Seller Private Offers for SaaS products. Flexible Payment Scheduler helps ISVs increase their sales velocity, sales volume, and transaction size by making it easier for their customers to purchase software. By allowing customers to pay in installments over time with custom dates, customers can purchase the product they need at a fair price, and pay in a way that aligns with their budget cycle. Customers can also agree to longer-term contracts knowing they can receive a discount for their commitment but pay for their usage over time. 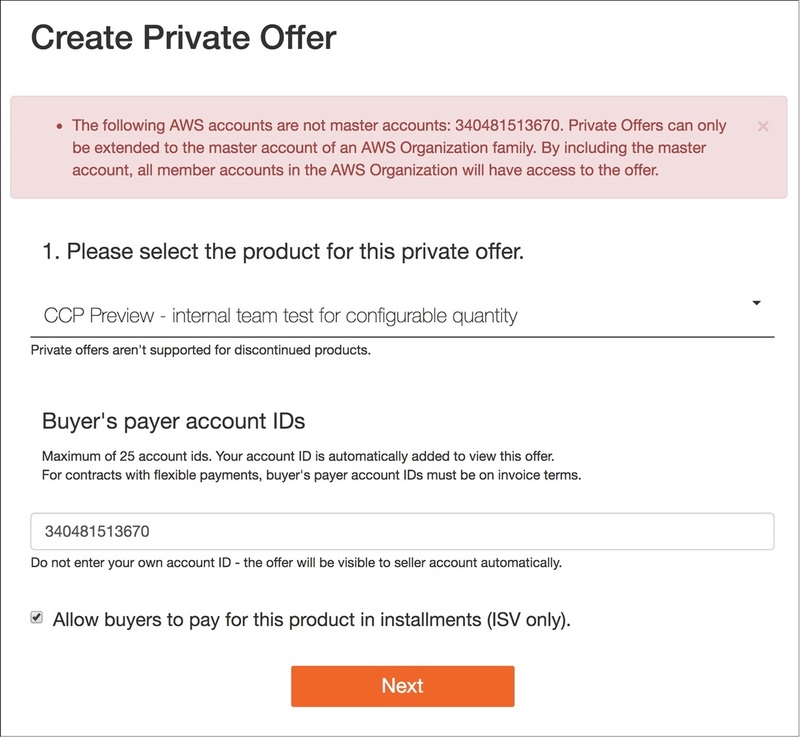 Step 1: Make sure you are a part of the AWS Marketplace Enhanced Data Sharing Program, which enables you to extend offers with Seller Private Offers. Step 2: Ensure your customer is on invoice terms (i.e. net-30, net-60 terms). If so, then no special configurations are needed to get started. 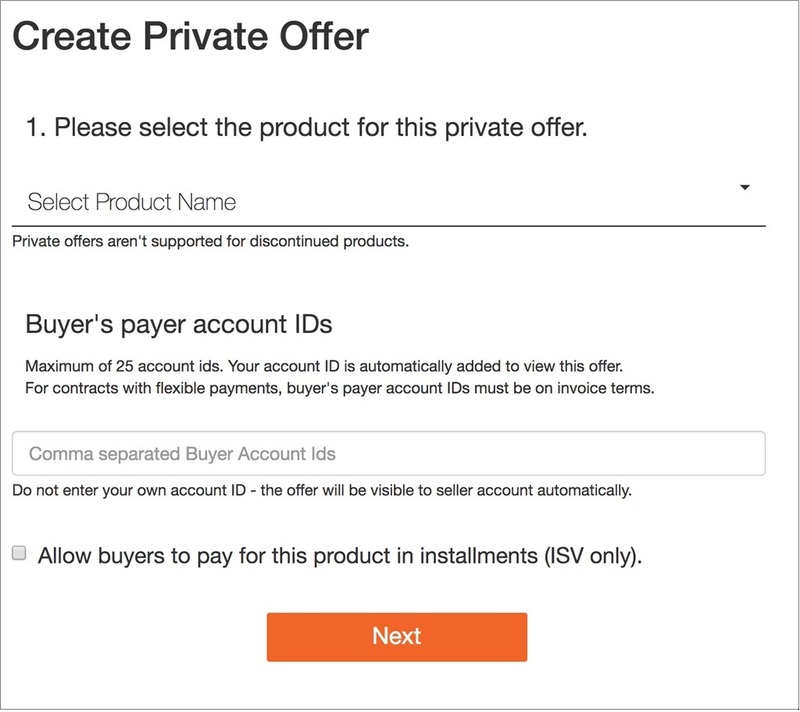 Step 3: Start creating your offer by clicking Offers in AWS Marketplace. Then, select the product your customer needs and enter their Master Account number. Click the checkbox labeled “Allow buyers to pay for this product in installments” to customize your customer’s payment plan. Figure 1 – Select product, input Master Account number, and allow buyers to pay with a flexible payment schedule. Step 4: When you click on this checkbox, you’ll be asked to confirm that your customer is on invoice terms. If any of your customer’s accounts are not, you’ll be notified with details on which accounts are not on invoice terms. Figure 2 – Sample error if customer account is not on invoice terms. In addition, if the account is in a consolidated billing family, the account listed must be the Master Account. Figure 3 – Sample error if customer account is not Master Account ID. Step 5: Once confirmed, you will be taken to the pricing page to specify details. You can determine the contract duration, payment amounts, and billing dates. Use the “+Add another payment” button if you need to add payment and date lines, or click the “x” to remove a line. Each of the invoice dates must be within the contract commitment period. Note that the first payment is the “up-front” initial payment that you are accustomed to for contract products. With the Flexible Payment Scheduler, the customer will only be invoiced for this contract on the dates and amounts indicated on the schedule. Figure 4 – Pricing page with Flexible Payment Scheduler for SaaS contract product. Step 6: Confirm the summed total matches the total price you want your customer to pay over the course of the commitment. You can see that the sum of your payments and total is automatically calculated and shown below your last payment line. Step 7: In the Offer Acceptance Date section, select the date that the customer must accept the offer by. Your customer must accept the offer by this date in order to initiate the payment schedule. Keep in mind that only one invoice date can occur prior to the expiration date. Possible offer expiration dates will be limited to today’s date and the first invoice date set on the schedule. Step 8: Complete the remaining fields and upload the required documents as usual. Step 9: Click “Review Offer” to review the payment schedule, configuration dimensions, and total price. Once your customer accepts the offer, the payment schedule will be locked and charges will begin. If the first invoice date is scheduled before your customer accepts the offer, the invoice will be processed immediately after the offer is accepted. In order to make changes to the payment schedule, you will need to create a new offer. 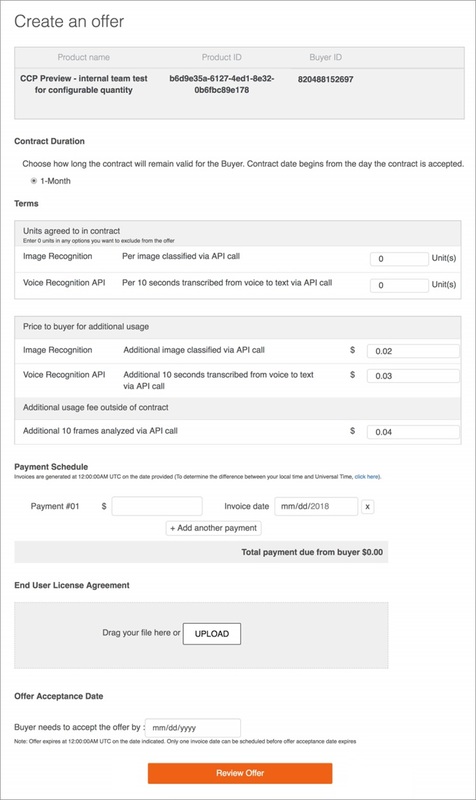 To help you recognize revenue and compensate your field, a new reporting section called “Contracts with flexible payment schedule” will be added to your Monthly Revenue Report and the AWS Marketplace Management Portal. This section has details such as total contract value, future-scheduled invoice dates, and amounts for each offer. 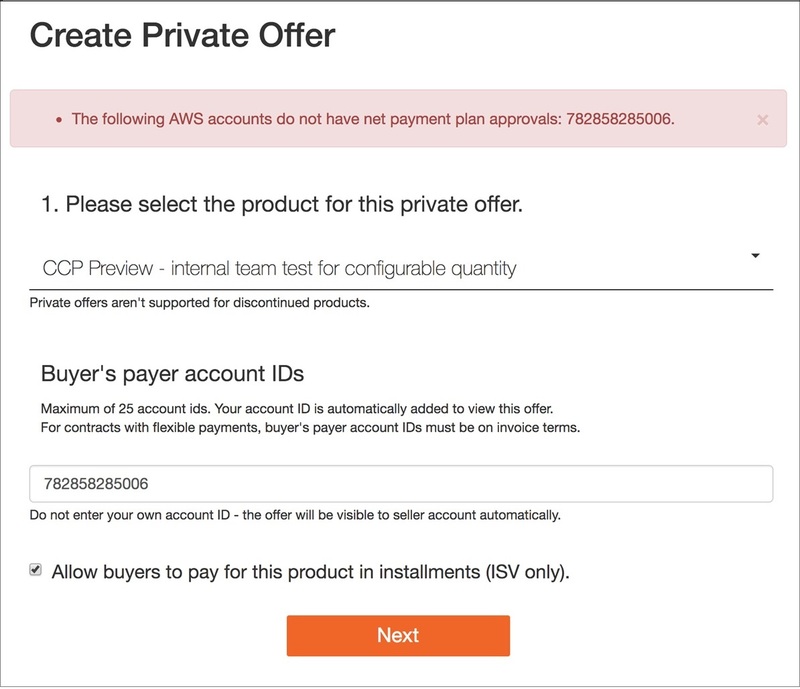 To learn more about Flexible Payment Scheduler in AWS Marketplace, visit the Seller Private Offers Seller Guide.